On top of consulting for a number of gyms and fitness businesses worldwide, I’ve also started, grown, and exited, 2 profitable gyms of my own. I’ve learned many lessons while building these businesses and I want to leverage that experience to help you grow yours as well. Get Greg to your next event. Engaging, educational and entertaining – Greg is a dynamic speaker that can fit a variety of roles. Greg McCoy was an enthusiastic presenter at the 2018 Club Industry Show, sharing his expertise about how to use events to market a fitness brand. He also stepped in at the last minute to serve as a panelist on a nutrition panel. And we were extremely pleased with Greg’s takeover of our Instagram page prior to our show, a promotion that helped increase our Instagram followers and attendees at our show. We are pleased to have found him as a resource for audience! I had the pleasure of meeting Greg McCoy for the first time when we were both asked to serve on a last-minute panel at an industry conference. As the moderator, though I only had a brief time to learn about Greg’s experience and success, I immediately knew he would be a valuable addition. Greg is a consummate professional both in his presentation and delivery and has the innate ability to understand exactly what the audience needs and a keen sense of how to communicate his experience and expertise in a relatable, concise and meaningful way. 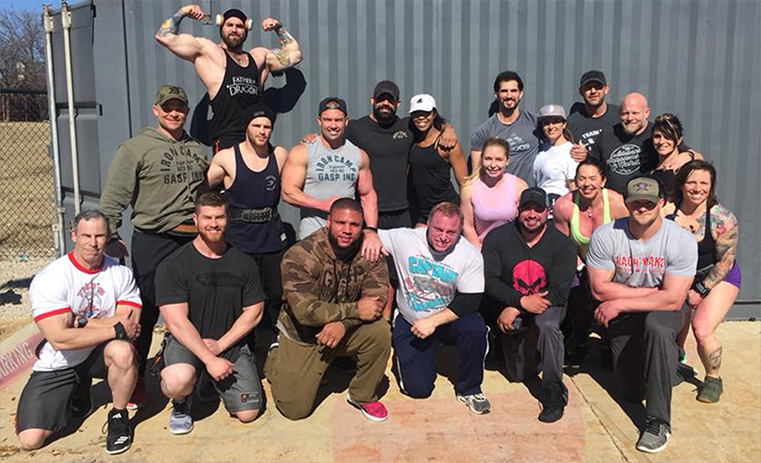 Greg McCoy has an uncanny ability to connect with his audience due to his high level awareness, perception, and passion of the sport of bodybuilding and fitness industry. He always did an amazing job at keeping our audience engaged and had the vision and ability to know when to switch things up when we had a lag in the program and production. Since Greg has been a competitor himself he knows how to convey how he would like to be announced as an athlete if he were walking onto the stage. He was able to build an instant rapport with our athlete’s when they realized he was a competitor like them and shared the stage with them as he was the Emcee. Greg’s ability to paint a picture of the work ethic, sacrifice and journey that each athlete had to endure to be able to walk across the stage. His preparedness and professionalism gave our show an even more polished look when he was at our podium. He is an excellent communicator and strong speaker and I would highly suggest you have him as your emcee or speaker at your next event. Where do you even start? The gym business is complex. Picking the right equipment and finding a location is just the tip of the iceberg. Creating your 1st year’s budget, proper branding, digital marketing, gym management software, hiring staff, pricing, membership pre sales, proper tours, insurance, structuring your personal training department, and MORE are topics you not only need to know about, but you need to be good at them. I have in-depth experience in all of these areas and can help you prioritize what to do NOW, to set you up for success. Event Marketing is my #1, favorite, hands down top pick for building a fitness business. Fitness is meant to be FELT, to be shared, to be fun, to be self-improving. You simply can’t do this any better than through events in my opinion. Take my Fitness Event Marketing 101 Online Course and get ready to boost your fitness business. Personal Trainers will receive CEU’s upon completion as a bonus.